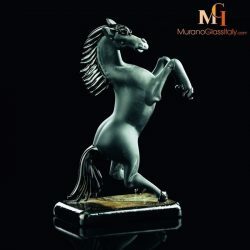 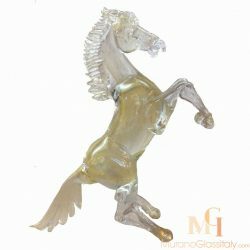 Expertly handcrafted in Italy, the displayed Murano Glass Horse Sculpture exhibits an exquisite hand blown build. 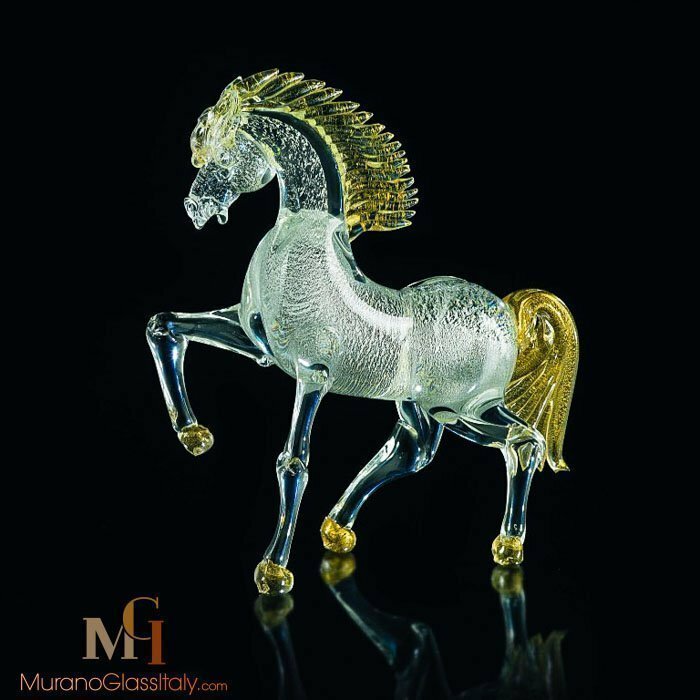 Effortless elegance, 24 karat gold, 925 Silver, great attention to details characterize this unique artwork. 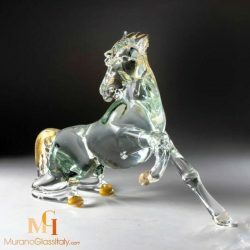 The sense of movement is beautifully captured in this intricately detailed horse sculpture. 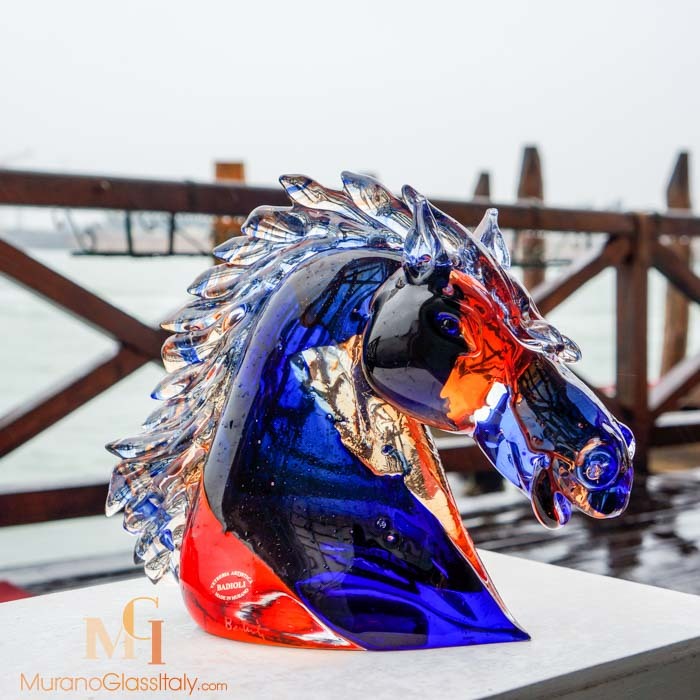 The artwork is signed by the artist, is labelled by the atelier and certificate of origin is provided.